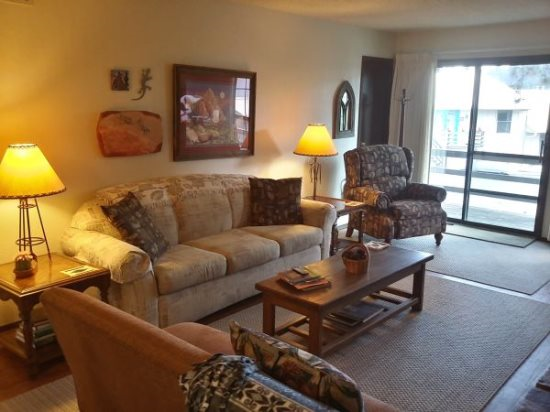 This large open two bedroom condo is within fifty feet of the 13th hole at Cree Meadows Public Golf Course. 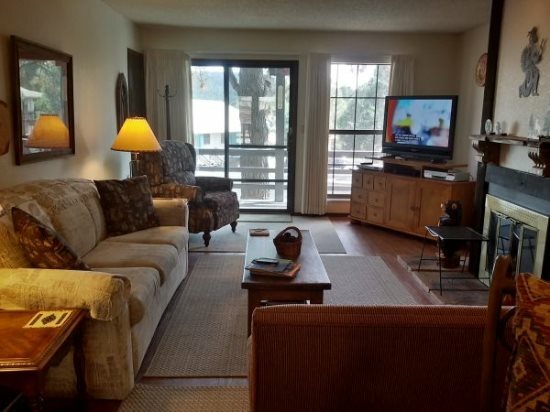 After a sunny day of high mountain golfing come back home to relax in the open living, dining and kitchen area with tons of outdoor lighting. 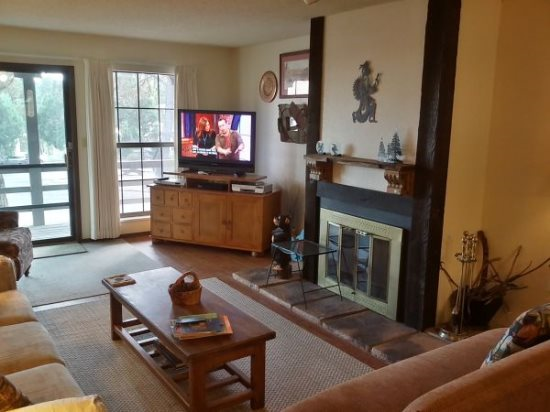 The large living area has a sofa sleeper with a wood burning fireplace and large screen TV. 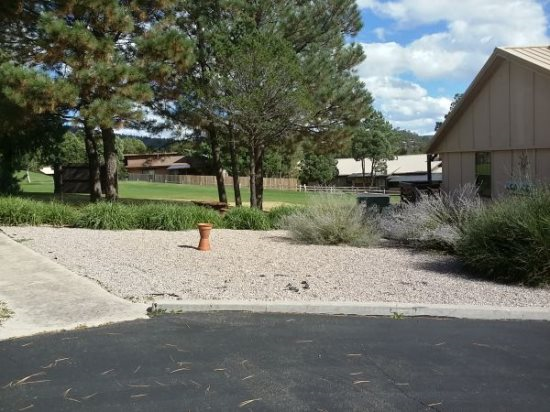 The nice deck is the place to be to enjoy the cool outdoor temps and mountain breeze. 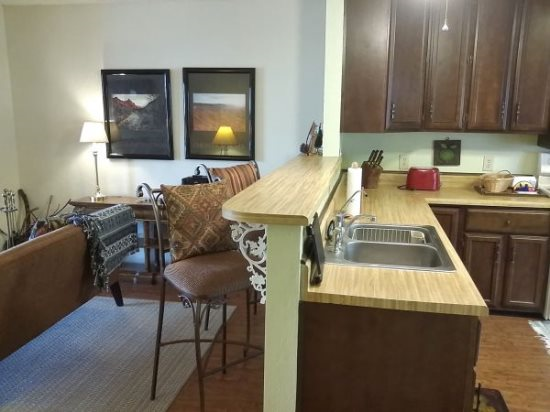 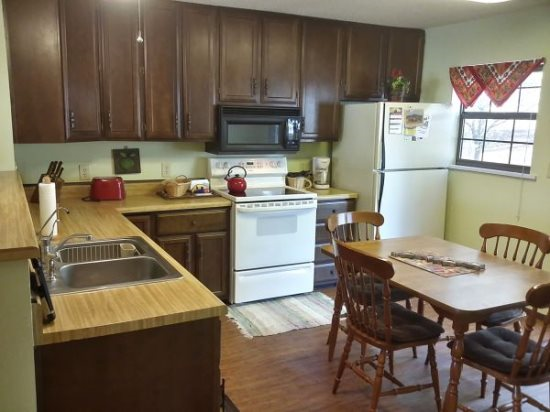 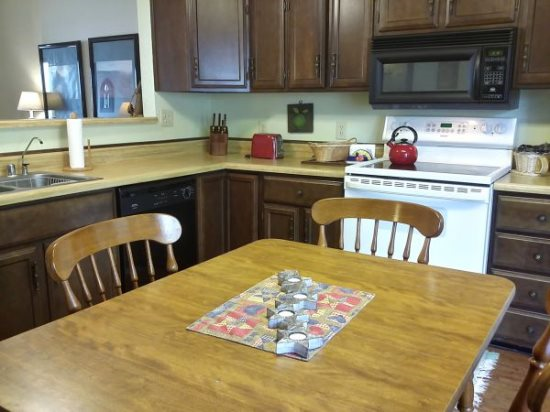 A fully equipped kitchen with dining area and bar will compliment all your cooking needs. 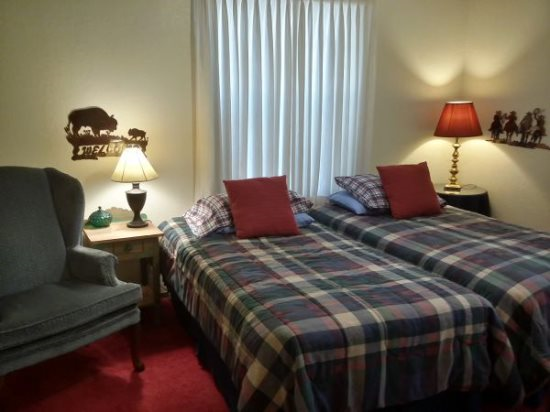 The guest bedroom has a set of twin beds with a full bath in hall. 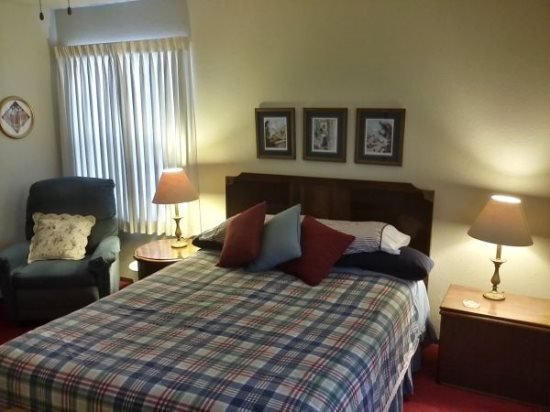 The master suite offers a king bed with TV and sitting area. 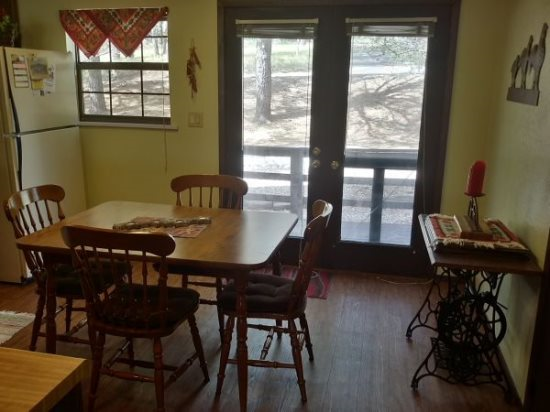 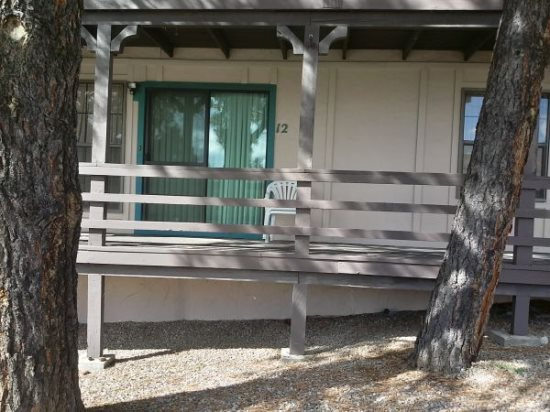 Aztec Manor is the place to be while in beautiful Ruidoso, New Mexico.